Formerly known as the SAR (Semi-Automatic Rifle) from AAA (Australian Automatic Arms), this rifle chambers and fires the .223-Remington (.5'56x45mm-NATO) cartridge, feeding from any kind of STANAG magazine. These guns are very RARE, even in the U.S.A. They were only imported for a year in limited numbers, before the 1994 Crime Bill wiped it out from the american market and the australian gun bans declared its end. It has the standard Pre-Ban features including threaded muzzle, flash hider, bayonet lug AND a 3-lug bolt. This gun features the best of several different popular weapons. It is the same approximate size & weight as most AR15s, has an AR18-lookalike, an AK-style piston operated gas system & the cocking handle is located on the left side of the handguard like H&K rifles. It has a plastic body, and a plastic stock which is removable and replaceable with other kinds of stock (see other pictures); a bipod is attacheable under the barrel of the gun. I don't know if there ever was a select-fire version of this rifle; however, messages which I have read on many Shooters Internet Boards, involving shooters looking for select-fire conversion kits of this rifle, seems to indicate that, at least, the rifle can be converted; unknown if a proprietary kit must be osed or any other kind of kit will work. 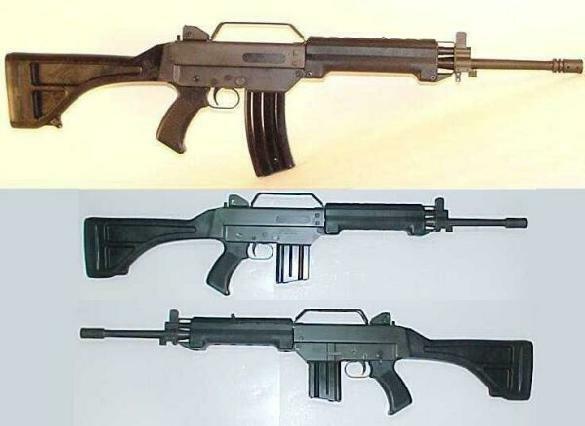 The "LEADER" series also features the T2-MK6 compact carbine (formerly known as SAC, Semi-Auto Carbine, from AAA, Australian Automatic Arms). 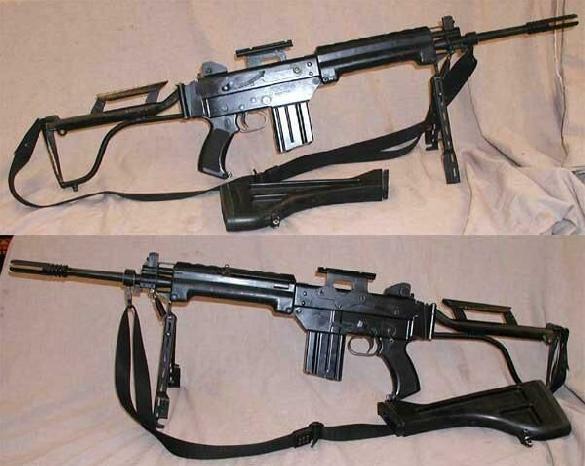 The T2-MK6 was a quite more compact version of this rifle, featuring a detacheable stock. 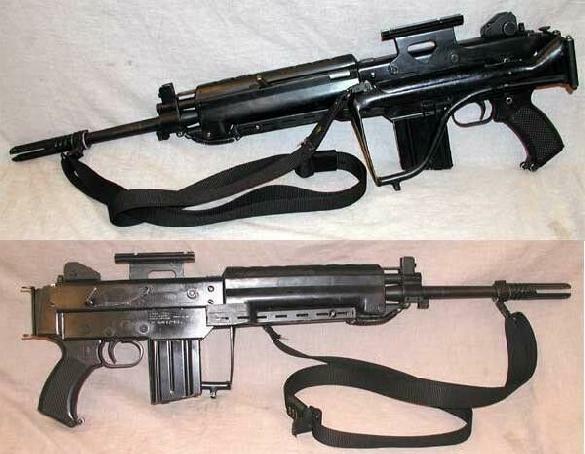 The firm AUSTRALIAN AUTOMATIC ARMS - LEADER DYNAMICS was forced to relocate in Malaysia after the australian Gun Bans subsequents to the Port Arthur Massacre, where supposedly they are gone out of business.